My child is violent. He is 5 years old. He hits and pushes everybody. I tried to explain him that he should not do like this but he never listens to me. How can I change this habit of his as otherwise he is a nice boy. Don’t worry about your kid. I would share a good idea here which I actually got from my kid’s teacher at Orchids International School. Try to capture a photo or a video when he hits or pushes anyone. Show him the image or the video and ask him whether it is nice or will anybody like a kid who do such activities. you should try to stop him when he starting misbehave with anyone come in home, sometimes scold on him and keep control on his anger. dont worry about your kid, as per they grown up his nature also cool down and come some maturity in him.so dont worry but keep control on his anger. as per my suggestion, keep him under some person threaten so he will be in control otherwise whatever you said is not good thing at all, this type kids dont like to anyone. this type behviour of kids, is come down as per they grown up. so dont worry about his violent behaviour just keep him control. try to explaining things so many times but then also he is not ready to listen things, then scolding on him and create threaten in his mind for one thing, so he will defiantely control on violent behaviour. the child is violent because of they are only kid to parents, and if parents make plan to second kid, this kids now accept brothe or sister too. so take so much precautions this time. not only your son is violent, so many kids at this stage of age is violent and behave with other people in very manner lessly. but it blame going towards parents . so take care of this things. as per my suggestion you try to take admit him in boarding school there in boarding school teachers teach to student how to stay individual and teach to do everything in own way. stop him when he started doing masti with others, try to stop him without getting angry on him, try to teach him in some other tricky manner, and try to explain him bad things in some manner. you should teach him all things from initial level now he is 5 years old, and if you not teach him how to behave with other people so it will helpful to him, but other people blame you only. Hi Priya, its good to find the things which gives him happiness. 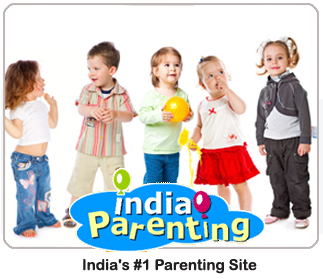 This will enable you in helping your child from these kind of habits and change his behavior with time. Try stopping him when he does that properly without getting angry for a few times and explain it to him that what he is doing is not a good habit and he should not do it and if he does not listen try scolding. A lot of kids get violent in their age. Actually they are not violent its just that they use their energy in that way. Kids are very energetic and as parents you have to look out and find good ways to use their energy. Try explaining him some more times but if he does not listen to you even then try scolding him once or twice but not too much just a little. I think since he is quite young a little scolding will do your required work. A cousin of mine had the same problem with her son. He was very violent and never listened to anyone. She tried everything to explain him but nothing worked. But as he grew up and started making friends he stopped it. I too had my cousin who would do the same but we will enjoy it and we will teach him what to do and what not in his style only then he will never repeat that again.And they will fear to some one and you need to use their names repeatedly also. don't worry some kids do as they are observant the environment around them. look for if anybody does so in the same situation and if he is not immitating them. otherwise ask somebody whose he listens and obey more than you. Everyday I go to bed very well. But from some day my sleep sudden break. I wake up sudden. I cant sleep anymore. any suggestion please? Health is wealth. Health is good mind is good. How can we weight loss and live healthy, beautiful, life? This is our effort for all the people of the world.